The nut can be found in hundreds of different varieties and can be enjoyed fresh, roasted, or added to various recipes. 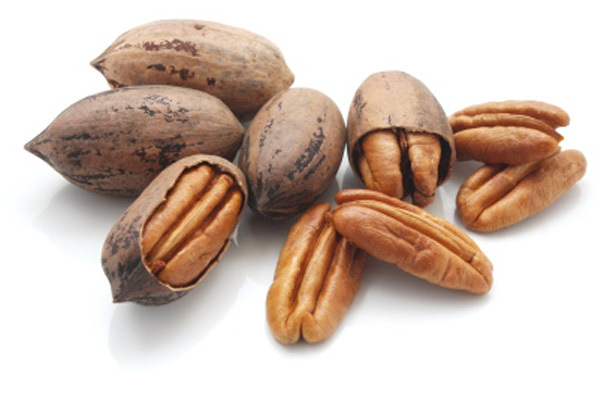 This nuts, like the fruit of all other members of the hickory genus, are not true nuts but botanically fruits. They come in various sizes such as mammoth, extra-large, large, medium, small and midget. They are also widely used in confectionery as an addition to biscuits, sweets, and cakes. Pecan nut butter is a popular spread of bread, toast etc. The nuts are very rich sources of several important B-complex groups of vitamins such as riboflavin, niacin, thiamin, pantothenic acid, vitamin B-6, and folates. The nuts are also the rich source of minerals like manganese, potassium, calcium, iron, magnesium, zinc, and selenium.